SKF - I Say Ding Dong Shop - Buy Stickers, Decals & Unique Automobilia. 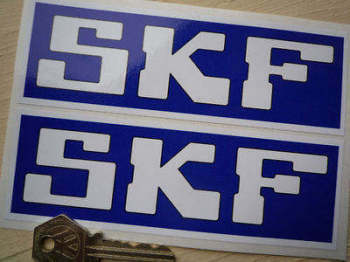 SKF Dark Blue & White Oblong Stickers. 6" Pair. 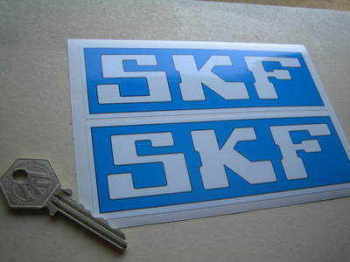 SKF Pale Blue & White Oblong Stickers. 6" Pair. SKF Stuttgart Classic Car Washer Bottle Sticker. 35mm.